Not all wellness programs are created equal. Because of the diversity among businesses, step three in the process of creating your wellness program is imperative to success. Have you ever had a goal that failed because you decided to start a strict regimen with activities you thought would work, but you didn’t care to do? Were you successful in reaching your goal? For example, if you wanted to wake up and run every day to lose some weight but hated mornings and running, how long would you last? In most cases, people will report that they dropped off their plan within a week or two. This is the same for programs that may seem to have a good plan, but are not enjoyable to your people. Now if you really loved playing volleyball and you found a city league that played 3 days a week, you’d probably participate in this activity 3 days a week! What pays off more… 3 days/week of activity with your volleyball team or 0 days running? We want your employee wellness program to be more like our volleyball plan. Conducting a survey of the needs and interests of your employees will allow you to tailor your program offerings directly to your people. That’s who we are here for, right? Surveying your population also shows your business’s workforce that you care about what they need and want, which results in higher participation rates. Listening to them and bringing them into the process shows that you are invested. Additionally, this step allows you to test your ideas before spending company resources on developing and launching programs that won’t work. Using a survey platform that can be easily emailed to employees and be anonymously returned is best. (I use survey monkey.) Another thing to consider is offering an incentive to fill out the survey. The more people who participate, the more people you engage in the program from the very start. Let your team know the survey is coming, talk about what you are trying to achieve and why participation is so important. Ideally, you want at least 50% participation. I typically offer a few prizes and place each person who fills out a survey into a drawing for those prizes. Holding the drawing at your first health fair is a great way to drive people to participate in that too. So what does the wellness survey look like? Your survey will be a combination of needs questions and wants. Your survey should end with an open question for employees to provide their own ideas and feedback. Needs questions will get information about specific health concerns so that you know what where to focus your program. For instance, how many hours/day does your population sit? Are they stressed? Is there a heavy history of heart disease or diabetes? Do they have families? Are they able to take breaks throughout the day? Wants questions will get information about the team’s interests, like what kind of exercise activities would they like to participate in and what time of day they are most likely to participate or what topics they would like to have at a lunch and learn. This Needs_survey_extended_template (1) from the Department of Health and Human Services is just one example of what your survey could look like. 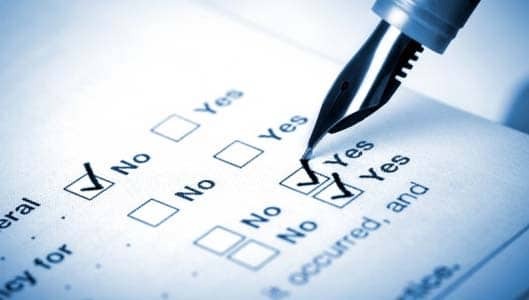 Now find an online survey maker and create one suited to your own company! Let me know how it goes or if you have any questions.